I'll join only if they send techs to each meet and greet to do recall work... otherwise, meh ~> this forum is "The Mothership" for me. I got mine last week. Tried to go to it tonight and it said I already had an account and had my email address. However, it wouldn't let me use any password I have ever used. Tried changing my password. That didn't work either. Guess they don't want me. $100 and 2 weeks, they'll get it figured out. Got the card, still on the fence as to whether I'll join. And like stated before it may be a good place for them to gather information on who and what got modified. Anybody lose their federally mandated cat with new exhaust? Each local Club is sponsored by an authorized Slingshot® dealership. To get started contact your local dealership and let them know your interest in a local club in your area. Our "local" dealerships are now 150 to over 200 miles from us? I think a lot of folks are in a similar situation. I have heard of several dealers dropping the Slingshot line because Polaris is just too hard to deal with, and then I know there are several dealers who do so poorly with their service that people just don't go there. Not sure if this is an attempt to pull people back to those dealers or not. I wonder what it would take to get one of the higher ups at Polaris to acknowledge this site and actually work with me. They act like the internet is this magical place that they cant be caught logged into. However they seem to post on Instagram and Facebook with no fear. All I want is for them to have one person with a direct email and phone number that I can get info from and post it. And also send them some of the tough questions that we sometimes get. If it is true that Polaris employees read the forums or if someone has a friend in corporate please tell them I would like to work with them. I think they are not seeing the forest because of all the trees. Facebook and Instagram are not going to help them. The forum can help them gather helpful info. They dont need a club. The club is just a way to force dealers into having to deal with previous customers. And making dealers have events to keep the brand active. I don't see why they wouldn't have someone that does the internet and fan base sites. I remember seeing a documentary on the Mustang a little while back...they have a person, who's sole purpose is to maintain relationships with the online community and all the clubs. Agreed. Most big organizations have that level of PAO attention, at least if they're smart. Look at the Wendy's brand, the guy who does their PR is a genius, especially the tweets. Interacting with the clubs and forums would be a ninja level of PAO that (I would think) would make them some huge progress on the PR front. Everyone knows you've been hovering this forum (in secret) for a long time ~> now's your chance to make a good showing and connect with us officially. Nothing to lose... everything to gain ~> Think about it! ^^^ Yep folks, I got my tinfoil hat on today... I know, POLARIS IS WATCHING!!! YEA! Polaris - - - what she said!!! Polaris corporately seems to have little interest in building long term relationships through providing above-and-beyond customer service. So a Club Slingshot has absolutely no appeal to me. This forum and another I am a participant in (Central Florida Slingers on Facebook) provide lots of really helpful info, assistance and ideas. And camaraderie too although often it is via posts rather than face-to-face. My Polaris corporate experience today dealt with my dealer’s effort to obtain a refund from Polaris for the $50 deductable (using my extended warranty) I spent about a month ago to get my brake sensor issue fixed. Since then Polaris issued an advisory about fixing the issue at no charge. But to those of us who paid in one manner or another to get the brake sensor fixed, we are SOL. But while I am whining about Polaris’ decision, I offer kudos to Noel at Cycle Springs in Clearwater for initiating my claim without my asking them to do so, and then his calling me this morning to let me know of Polaris’ unfortunate decision. The $50 really doesn’t matter. But Polaris could and should do better. I attempted to register with ClbSlingShot, today. Unfortunately my registration failed, so I used the contact number provided. I must say that the service offered, by the person at the, Polaris, end of the line was excellent !!! As I'm based in Britain, it took a little while to identify my SlingShot, on the system. However this was done and my membership enquiry/request was forwarded Allong to the international section. Additionally, I identified a problem, with poor mauntaunance of the UK & Ireland web site. This will now be followed up. 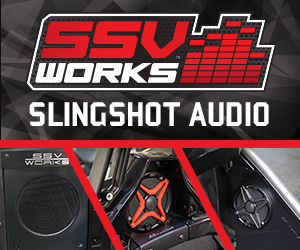 Hopefully making like better for both Polaris sales and therefore possible, SlingShot, customers. I was also able to point out that Polaris France, has 20 SlingShot dealers, while the UK has a greater population and only 2 companies selling SlingShots. Apparently, this feedback will be forwarded to the people that matter. I was treated well, the company listens, they showed a genuin concern to improve things and they will progress the CluSlingShot question that I had. At times, I have complained about the Polaris service (Or lack of it, in the UK) but today, I was VERY IMPRESSED with the service, from Polaris USA.. I'm sure @rabtech could offer useful assistance, if Polaris chose to work with forums. Let's all hope that everyone wins, from some good development of a sucsesful, ClubSlingshot. Didn't know there was a $50 deductible...I've had mine replaced 3 times..Twice under regular warranty and a few months back under extended--no charge on any of them. I know there are what 50,000+/- Slingshots on the road and we've got a few of them on here but no where near all of them!!!! Polaris loves to market on FB and Instagram ..... marketing department catch phrases and photos geared at getting non-owners folks to experience the ride and purchase - I can understand why they wouldn't want to be part of a forum with the armchair quarterbacks (like me) questioning design moves, recall notices, warranty issues, dealer frustrations, etc. things they would need 20 @Bill Martin 's in the room (and we've got tge one and only) and they still would be unable to provide a crystal clear answer because of how it could be taken out of context and used against them at a future date - and let's admit it, the Polaris business model is about selling what they consider stock Slingshot and really nothing else. Club Slingshot will be used at local dealers to help dealers increase sales in parts, service, apparel and too show off how cool the slingshot is to non-owners so they become owners. 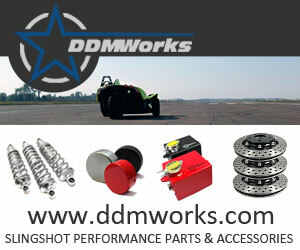 IMHO - This is the wrong crowd to release a Polaris staff member in - we want answers about engine destruction and speed sensors and ECU decisions and at the end of the day they can't take it back and they can't change and they may have had better ideas than we have but those don't matter either because a business decision was made well above an engineers pay grade. I am with @Ross on the Club Slingshot thing.